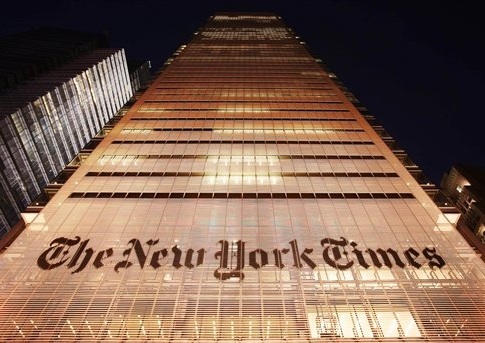 The New York Times public editor responded to complaints on Thursday that the paper "stealth edited" a pro-Bernie-Sanders article after publication to give it a more cynical tone. The Times is facing criticism from Sanders supporters this week after it published an article highlighting the candidate’s successes in Congress, but later changed the headline and added in paragraphs that portrayed him in a less favorable light. The story did not include an editor’s note disclosing or explaining the changes. Given the level of revision, transparency with the readers required that they be given some kind of heads-up, and even an explanation. So it can be done. And given the importance of reader trust in The Times’s credibility, the paper would do well to give some serious thought to how to do it here. The article was originally headlined: "Bernie Sanders Scored Victories for Years via Legislative Side Doors." It was later changed by editors to read: "Via Legislative Side Doors, Bernie Sanders Won Modest Victories." Editors also added in a couple of paragraphs, including: "Mr. Sanders is suddenly promising not just a few stars here and there, but the moon and a good part of the sun, from free college tuition paid for with giant tax hikes to a huge increase in government health care, which has made even liberal Democrats skeptical." Several positive quotes werealso removed. Editors told Sullivan that the changes were made in order to provide more context for the story and tie it into the present moment. But the edits set off the ire of many Sanders supporters, who have long complained that the paper’s coverage is skewed in favor of Hillary Clinton. "The New York Times no longer reports all the news that's fit to print but only the news fit for Hillary Clinton," wrote Robert Reich, former labor secretary under the Clinton administration, in a Facebook post. "Many of us have long suspected the Times of anti-Bernie partisanship. This particular instance proves the point." At Rolling Stone, Matt Taibbi wrote that the paper had "sandbagged" Sanders. "This stuff could have been written by the Clinton campaign. It's stridently derisive," wrote Taibbi. Taibbi also noted that the edits "go to the heart of the meaning of the article, which is unusual and seemingly a nasty thing to do to the reporter, particularly since the changes read like talking points added by a Clinton aide." The direct editor for the Times article, Michael Tackett, told Sullivan that there was "zero evidence" that anyone from the Clinton campaign contacted the paper about the original story. When asked whether any Clinton aides reached out, Times executive editor Dean Baquet said "not that I know of." This entry was posted in Issues and tagged 2016 Election, Bernie Sanders, Hillary Clinton, New York Times. Bookmark the permalink.